Various Authors; edited by Peter Koch. A tri-quarterly publication featuring cowboy surrealists, maverick poets, writers, and artists. 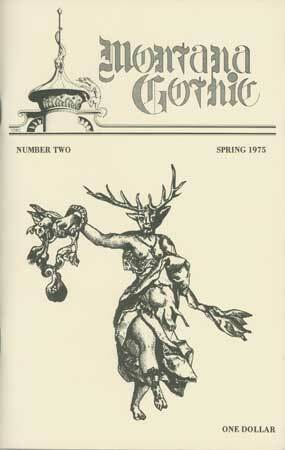 The publication was published and edited by Peter Koch and ran for six issues, spanning from 1974 to 1977. Shelley Hoyt-Koch collaborated on graphics and design for the last three issues. Offset lithography. Features poems, prose, and psalms from a number of writers, including Robert Bly, Keith Abbott, James Magorian, Milo Miles, and Steven Flick. Text accompanied by graphics by Bruce Lee, Dana Johnson, and Sir Quaxalot. Cover illustration by Lee.